“Will you marry me?” It’s the ultimate question. You want the marriage proposal to be perfect and the answer to be “yes!” There’s a lot that goes into popping the question. But have no fear. Follow these common tips for how to propose in a few simple steps. You’ve decided you want to pop the question. Many wedding websites suggest you start by choosing where and when you want to ask her to marry you. Is there a place close to home (or in some exotic locale) that is meaningful to you and your loved one? Is there a date that’s significant to you both? Or do you want your proposal to coincide with a special trip, holiday or family gathering? Picking a place and a date gives you something concrete to look forward to and an end goal to plan for. Give yourself time to make the arrangements, and to research and shop for an engagement ring. Only you can decide how much time you need. But keep in mind that researching and purchasing an engagement ring typically takes at least a few weeks – longer if you decide to design your own. There’s one thing all marriage proposals have in common, whether traditional or off-the-charts unique: the engagement ring. It can feature diamonds, colored gemstones, a combination of gems or no gems at all. But a ring is a must if you’re looking for a lasting symbol of your commitment. The engagement ring as a symbol of intention to marry goes back more than two millennia – and is probably a lot older. The year 1477 marks one of the first recorded uses of a diamond engagement ring, when Archduke Maximilian of Austria proposed to Mary of Burgundy. The discovery of vast quantities of diamonds in South Africa starting in the 1860s paved the way for the modern diamond engagement ring, as ownership of diamonds expanded beyond nobility and the wealthy to the rising middle class. Today, more than 80% of wedding ceremonies feature one. 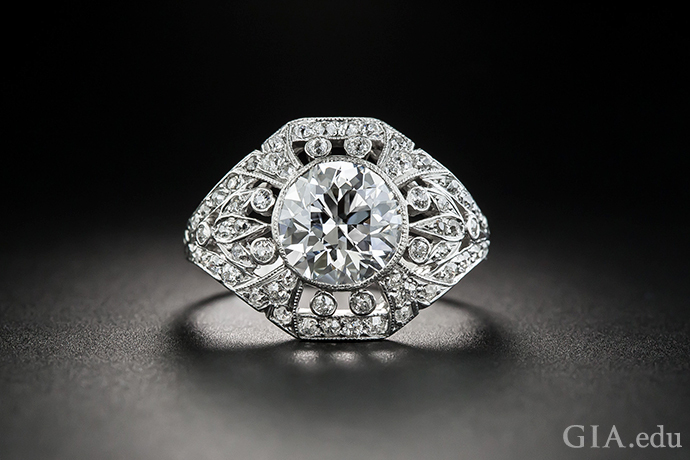 The diamond engagement ring is now a universal symbol of enduring love and marriage. It’s the perfect choice when you consider that diamond is the hardest gemstone and it formed a billion or more years ago deep in the earth. Properly cut, it has unmatched brightness, fire and scintillation. If you’re ready to propose but can’t afford a diamond engagement ring, or want to pick one with your beloved, a placeholder engagement ring is a great solution. 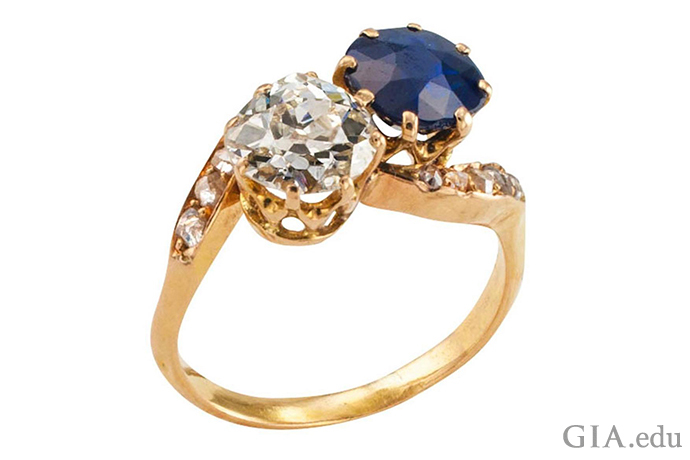 A placeholder ring is a temporary stand-in for a diamond engagement ring. It may have a simulated diamond like cubic zirconia as the center stone. Or it can be something you borrow from a family member. Or it can be something you make. It can be anything that comes from your heart. Of all our marriage proposal tips, this one is about your wallet. The notion that you should spend one, two or three months’ salary on a diamond engagement ring dates back to a marketing program begun in the 1930s. There is no rule about how much you need to spend. Decide how much you can afford and stick to that figure. As you shop around, you’ll find many beautiful diamond engagement ring options to fit any budget. So, there’s no need for unnecessary financial stress. 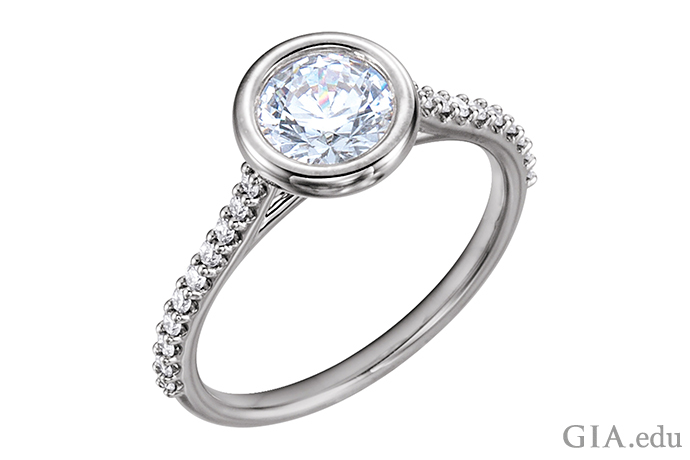 You will find a diamond engagement ring that your beloved will cherish. 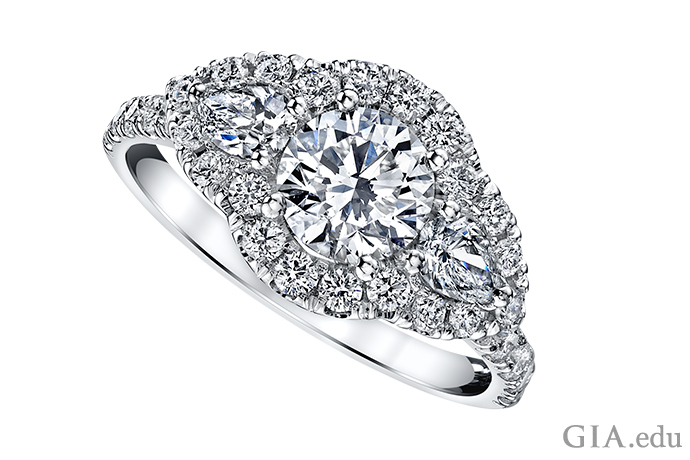 Choosing a diamond engagement ring can seem daunting. It’s a considerable investment – and you want to pick one she’ll love. To get some ideas flowing, start by browsing for engagement rings online. 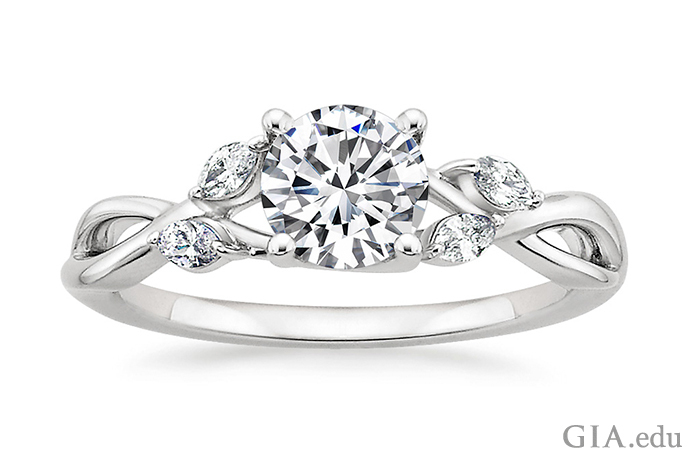 You’ll get a feel for different ring styles, diamond shapes and sizes, as well as prices. 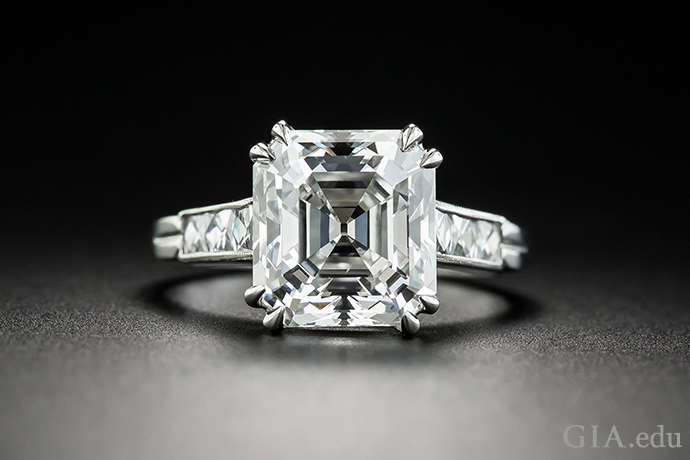 As you browse, you’ll quickly come across something called the 4Cs: Color, Clarity, Cut and Carat Weight. These are the four factors that have the greatest impact on a diamond’s price. So, it’s worth learning about them and how each quality factor is evaluated. Your online research will bring up many results for GIA-graded diamonds. These are diamonds that have been independently evaluated by GIA, the nonprofit research and education institute that created the 4Cs and set the global standards for grading diamonds. 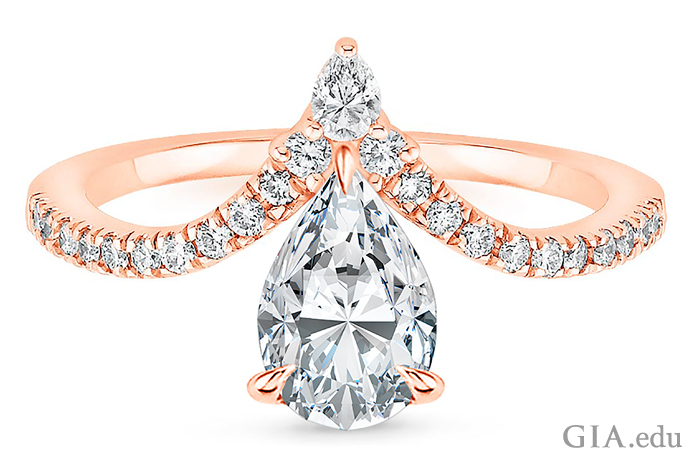 Take the time to learn about GIA diamond grading reports, since you’ll want to make sure your diamond comes with one. A GIA report provides an unbiased assessment of the diamond’s quality, so you know exactly what you’re getting. Buying a diamond is a bit of a balancing act. Unless you have an unlimited budget, you’ll have to make trade-offs. Do you want the biggest diamond you can afford? Or the one with the most sparkle? Or the one with the best color grade? You’ll have to prioritize the 4Cs, and decide what’s the most important C for you and your bride-to-be. An engagement ring is something she’ll wear every day for the rest of her life, so you’ll want to make sure it’s the perfect reflection of who she is. 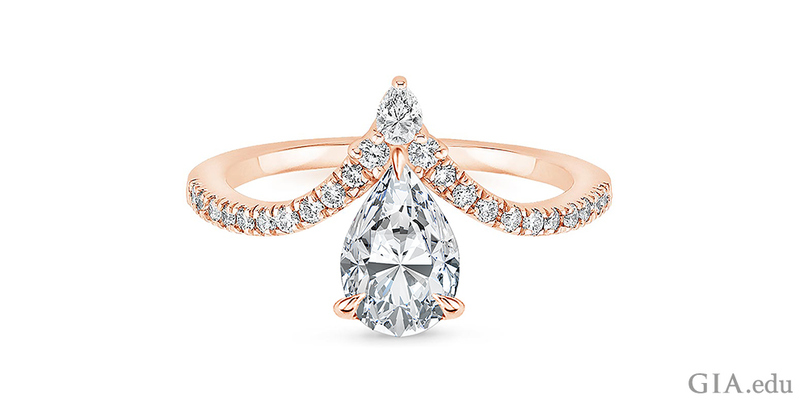 You won’t find a shortage of diamond engagement ring styles. In fact, the selection can be overwhelming. Your best bet is to stay focused on her and her personal style. Is she traditional? A minimalist? Contemporary? Edgy? Also take note of the metal color of the jewelry she wears. Is it primarily yellow gold, white gold, rose gold or platinum? 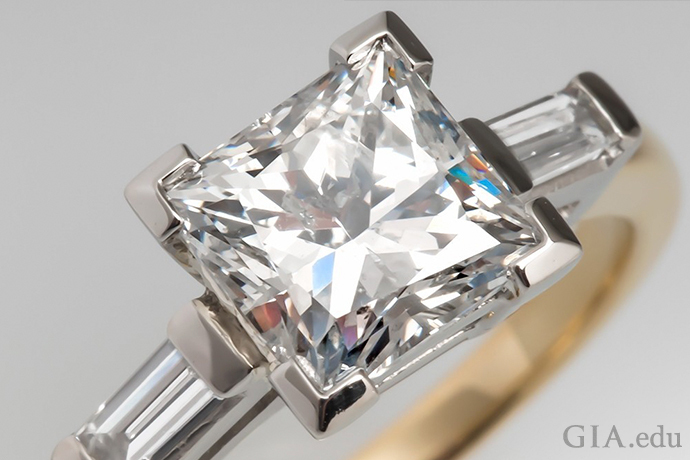 This can help you narrow down your search for the perfect diamond engagement ring. If you’re still unsure of what to get her, seek advice from her friends and family. They may be able to give you guidance on a diamond engagement ring that best suits her style. Again, if you want to involve your beloved in the selection of the ring (but still want to surprise her with the ask), consider a placeholder ring. With a placeholder ring, you can select the style of the ring, the metal it’s made of and other elements from a fixed menu of options. Courtesy: Stuller, Inc. It is rare to find two diamonds that look exactly the same. Rather, subtle differences in color, clarity, cut and carat weight will make them respond differently to the same viewing environment. So, you can’t do all your engagement ring research online. At some point, you need to see diamonds in person to find the one that’s right for you. Don’t be afraid to walk into a jewelry store and ask questions. Look for jewelers or sales associates who are knowledgeable and patient. They will walk you through your options and explain the 4Cs and how the quality factors and size impact the prices of the diamonds you’re eyeing. They will also help you hone in on an engagement ring style to suit your intended and your budget. A knowledgeable jeweler will be professionally trained. He or she will most likely display a diploma from GIA in their store. TIP: You can use the GIA Retailer Lookup to find jewelers in your area who carry GIA-graded diamonds or have GIA-trained professionals on staff. A romantic proposal sounds obvious, but it’s easy to lose sight of the romance aspect when you’re caught up in the process of planning the proposal and buying an engagement ring. A marriage proposal is a once-in-a-lifetime event, one that you and your beloved will remember forever. Start by visiting websites like How He Asked, to get the ideas flowing. Some aspiring fiancés want the proposal to be a big affair, involving family and friends – or even a ballpark full of fans. Others prefer a more intimate event – a private moment in a special restaurant, at home or on a walk along a local river (or the Seine in Paris). Regardless, the words you use are crucial to eliciting the response you want. Should you get down on one knee to pop the question? This is a relatively new tradition and is completely optional. But it’s a romantic one that evokes a medieval knight asking for a lady’s hand. Chances are your girlfriend will love the gesture. We hope these tips will make your day memorable and stress free. And once the day is over and she’s said “Yes!” be sure to pass along what you’ve learned to a friend or colleague who’s just starting their journey.